Hong Kong, September 12, 2018 - C&T’s flagship enterprise information management software, VITOVA EIM is now integrated with the e-signing function of Adobe Sign, which helps business users speed up their contract management processes through sending and signing documents on electronic devices, at the same time uploading the files to VitalDoc for document management and collaboration. E-signatures are legally valid and popular among industrialized countries. 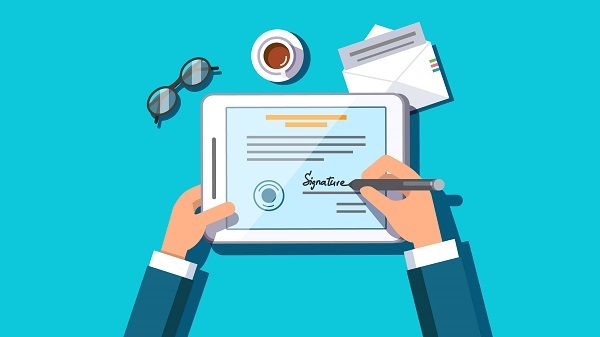 The world's most trusted e-signature solution, Adobe Sign allows users to define their own signing processes based on the business workflow. Simply insert fields to collect e-signatures and other information in the document, hit “Send” and that is it. The recipient can sign and return the document through the VitalDoc cloud server with their mobile device, without the need for sending paper-based documents which slow things down or additional e-filing. The entire contract signing processes takes only minutes and each step is recorded. On VitalDoc’s collaboration platform, users get notified as soon as a document is viewed or signed. And all parties get a secure copy of the signed document, which is stored along with the audit trail onto the VitalDoc online repository, for keep keeping and ensuring everything goes smooth. The VitalDoc Lite Version is on a monthly subscription basis, which allows users to enjoy the one-stop documentation processes from capturing data by scanner and opening, editing and storing documents on the VitalDoc e-platform, to using Adobe Sign to prepare and send a document to be e-signed, which allows users to master contract management with compliance and make faster and better business decisions.